Cast "Ya-ch'ou" vessels have often been excavated from Su-pu-tun in I-tu, Shantung, so scholars believe that "Ya-ch'ou" represents the "Po-ku" clan mentioned in the ancient "Tso-ch'uan" text. 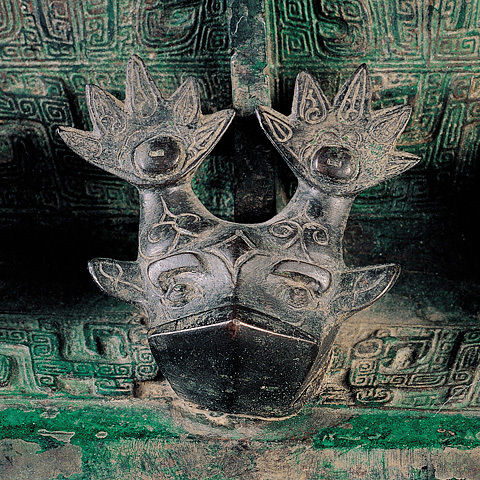 Flourishing in the late Shang period, this clan was exterminated by King Ch'eng in the early Western Chou. 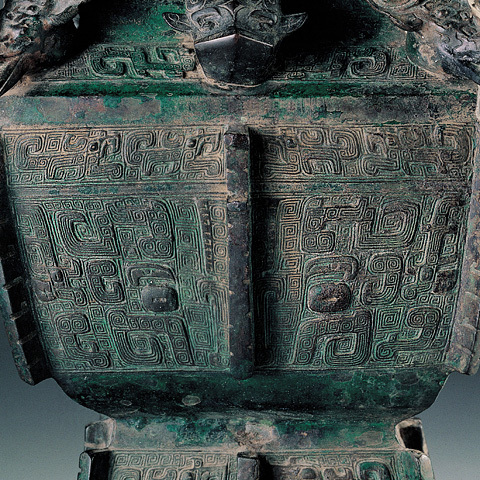 About forty percent of the surviving cast vessels inscribed with "Ya-ch'ou" are rectangular vessels, sharing along with rectangular vessels excavated from the tomb of Fu Hao renown in the developing splendor of late Shang bronze vessel shapes.